Synthol™ is a synthetically engineered muscle site enhancement oil. The product is manufactured in a sterile, pharmaceutical grade environment. This unique, oil-base proprietary blended product is designed to enhance the appearance of muscle mass, improve definition, and enhance vascularity. How Many Professional Bodybuilders Really Use Synthol ? Synthol™ muscle site enhancement oil is the professional bodybuilders secret weapon. In today’s society, it’s common place to see a professional bodybuilder admit to using anabolic steroids. Many national and professional level bodybuilders have come clean with their use of various anabolic muscle builders and fat burners. 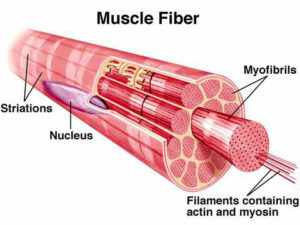 However, few bodybuilders will admit to using a muscle site enhancement product. The signs are obvious, at the Mr.Olympia shows it appears that more top bodybuilders are partaking of site enhancement products than ever. It is safe to say almost every single top level professional bodybuilder has used muscle site enhancement oil at some stage. Genetically speaking, humans are not perfect in regards to muscular symmetry. Site enhancement oil can help a lagging muscle become equal in size, shape and proportion to the other. Flex Wheeler: Probably the biggest synthol user out there. It has been rumored that Flex has someone applying the product professionally. Like a plastic surgeon or professional muscle massage therapist that knows how to mold and sculpt muscle tissue. The use of site enhancers has made his arms a good 2-3 inches bigger and cost him some definition. Now his deltoid and shoulder muscles have gone over board in my opinion, as they are actually bigger than his pecs. Of course, his calves were probably the first thing he did. Ronnie Coleman: He uses the product lightly overall, but his calves are his priority area of application. He has very high calves like a number of the black athletes, so developing mas and symmetry was improtant. Marcus Ruhl: His overly perfect bicep peak is a solid indicator of his use. Nasser El Sonbaty: His left to right symmetry is simply unreal. This is only achieved by using the Synthol in low doses, on 1 side, until everything looks perfectly even. J.P. Fux: In the battle for the Olympia tape, you clearly see the biceps bruise from where he has aggressively massaged the Synthol™. Dexter Jackson: He uses a lot in his calves. His rapid and symetirical muscle growth is a tell tale sign. Perhaps the greatest advantage to Synthol™ aside from it;s effectiveness,is that it is safe and legal. Most of us know what anabolic steroids are, so what is Synthol™? Well, to set something straight, many people think that Synthol™ is an anabolic steroid but it’s actually not. Instead, Synthol is actually a site enhancement oil, comprised of a unique blend of oil based ingredients. The recipe? Well, that of course is a trade secret 🙂 It’s not something really new, in fact, various versions of Synthol have been used by professional bodybuilders in order to enhance their appearance of lagging muscles for a few decades now. Normally, they would apply Synthol™ right before the competition and get almost immediately their wanted result. Yes that’s right, this “legal-steroid” takes effect almost immediately! If it’s not that new, why are you suddenly seeing it all over the internet? Well the answer is actually pretty simple. Its high increased usage in countries like Brazil, Argentina and Columbia have made the “Synthol epidemic”. And I understand them, really. By taking Synthol your muscles grow almost instantly without requiring you to lift weights or be strong! For that reason, it often appeals to mostly younger guys who don’t train properly and want to look in shape. Synthol is the choice among professional bodybuilders. Not only it is the most commonly used muscle enhancer oil in the industry but it is sold more than all the other steroids combined! Surprisingly, no other product has ever received so high reviews. Online selling sites such as Amazon or E-bay are filled with great reviews for this product. Synthol™ can be used on any muscle group. It is used with 4 weeks before the night of the competition and of course before the competition for the perfect appearance. Amateur or non-competing bodybuilders are usually using this muscle enhancer for only one reason. It works super fast! Using Synthol™ on the biceps can easily add 2 to 3 inches in less than 30 days! That is almost 2 times faster than any other steroid you’ll find on the market. Synthol™ is the favorite choice of many bodybuilder because it’s the only one that we know of that is made by a real pharmaceutical company so guaranteed sterile, plus it is pain free application,and the results seem to be better – don’t take my word for it, ask around! It’s also the #1 best selling Site Enhancement Oil in the world, so they must be doing something right! There are 2 products in the entire industry that are “Real”. These are the 2 products that deserve everyone’s attention. Synthobolic® and Synthrol-877™. Their suppliers are the only companies to offer a double money back guarantee. They never have any complaints from any customer from anywhere in the world! The products are very highly reviewed on Amazon, eBay and MrSynthol.com – Those are the only 2 products used by the professionals. Synthol™ is an oil based muscle enhancer, and it does not contain any anabolic steroids, or prohormones. It does not contain any banned or unsafe ingredients. It is a proprietary blend (patent pending) of ingredients prepared in a pharmaceutical grade oil. It has been used by professional bodybuilders for a long time! By taking Synthol your muscle growth is accelerated which leads to more strength and development. Synthobolic® and Synthol™ are perhaps the most commonly used muscle enhancer oil among competing bodybuilders. These 2 brands are sold more than all the other brands combined! It can be used on any muscle group and it takes around 4 weeks to deliver the perfect result. You’ll be amazed by the results, and so will everyone else. Synthol™(877 Formula) is the favorite choice of professionals because it’s the only one that we know of that competing bodybuilders have sworn to be the best! We suggest you do additional research. eBay and Amazon are excellent sources to utilize when searching for feedback and testimonials.